saved, for my message is true. 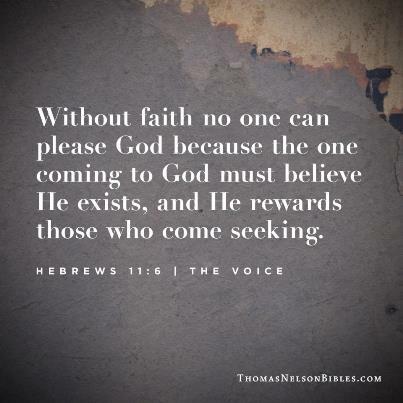 Hebrews 11:6, Thomas Nelson Bibles.com. When we believe in God, we open up to God, we tune in to God! It actually is like tuning in God’s frequency, God’s channel. Only then we can hear and feel Him! Great quote and poem, Wendell!